Is ‘beige’ fat the best fat? Not all fat cells are the same. There's the stubborn white fat, whose job is to store calories, and the energy-burning brown fat. Now scientists say they've isolated a third type of fat, a calorie-burning "beige" fat in adults that could help speed up the development of obesity treatments. The study was published this week in the journal Cell. The cells in this third fat are under the skin near the collarbone and along the spine, acting like little hot spots of potential energy. Babies have a high proportion of brown fat to keep them warm, and it was thought that adults have some also. However, the brown fat adults have is different. The Harvard study showed that the brown fat in adults is actually "beige," and has the ability to burn calories rather than store them, even in small amounts. Led by Bruce Spiegelman, a professor of cell biology at Harvard Medical School and Dana-Farber Cancer Institute, the research shows that the distinct beige fat can be ramped up. Both brown and beige fat contain iron, which is the cause of the hues. The big difference is that brown fat expresses high levels of UCP1, a protein required by cells to burn calories and generate heat. Beige cells, in contrast, can turn on high levels of UCP1 in response to cold or a hormone called irisin, which is released from muscle while exercising. It is this hormone, irisin, that stimulates normal energy-storing white fat to act more like brown fat by amplifying its calorie-burning abilities. Spiegelman speculates that it might be possible to treat people with irisin to boost the calorie-burning ability of their beige fat cells. For exercisers, this is good news, in that you're creating a balance between calories consumed and energy expended, by exercising regularly—and you don't have to stand around in below-zero weather. For the scientific community, the discovery could be a powerful research tool in the fight against obesity. 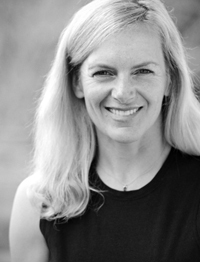 Connie Aronson is an American College of Sports Medicine Health & Fitness specialist. Visit her at www.conniearonson.com.